Now onto the kitchen! It was just about the only part of the house that had been updated, as new cabinets and appliances were added sometime in the 90s. However, it all still looked super dated. But now it looks a whole lot fresher and brighter! Removing the upper cabinets above the peninsula also went a long way towards opening up the kitchen to the family room and making the two spaces feel cohesive. And now it’s so much happier! This kitchen really just got a bit of a facelift instead of a gut-job – we kept the original cabinets, left all of the appliances in their original locations (but switched them out for new ones), and just added prettier finishes in the form of white paint, polished nickel hardware, a marble backsplash and a lovely marble counter top. 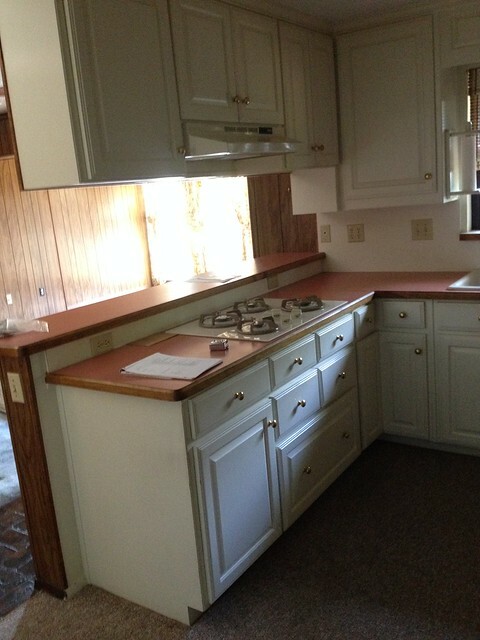 Didn’t those cabinets and the raised bar make the kitchen feel so cut off from the rest of the space? Nothing like a few random sewer pipes and water lines to ruin your day! But a quick call to the plumber was all it took to set us back on our merry way, and now the peninsula looks great. 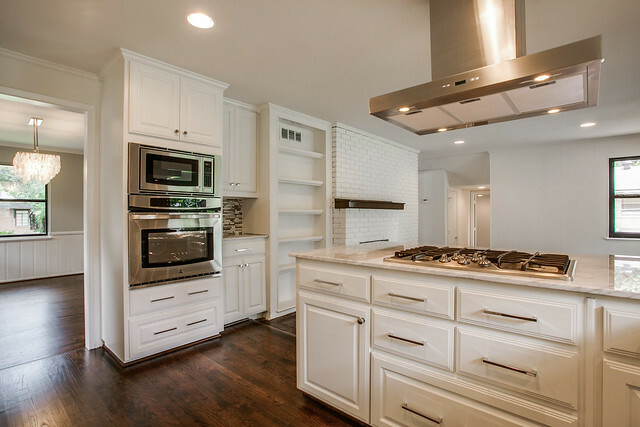 I wasn’t thrilled that we had to have a vent hood hanging over the peninsula (I prefer open space above) but if you have to have a hood, I think this is a pretty good-looking one. And yes, we lost some storage, but I definitely think the open feel makes it worthwhile. 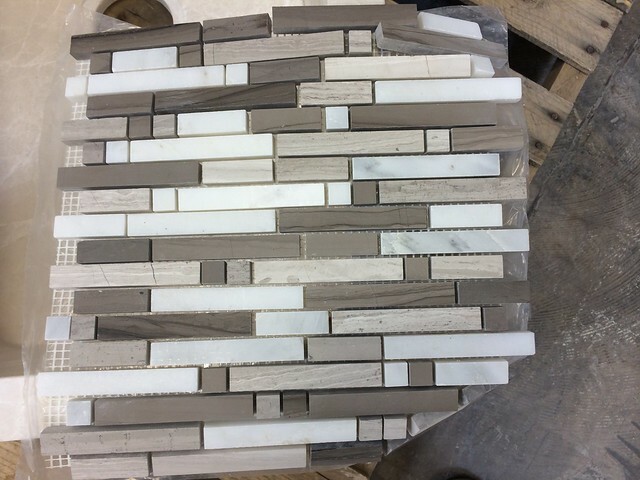 One of the things that I really like in the kitchen is the marble mosaic backsplash – it’s the perfect marriage of brown and gray so it worked wonderfully with the carrera marble counters, as well as the hardwoods and brick floors. 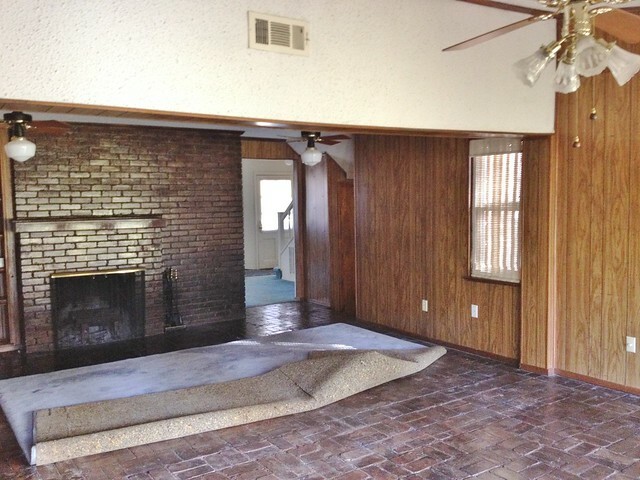 Before, the family room was just a sea of brown – brown painted brick, brown paneling, and a brown brick floor. 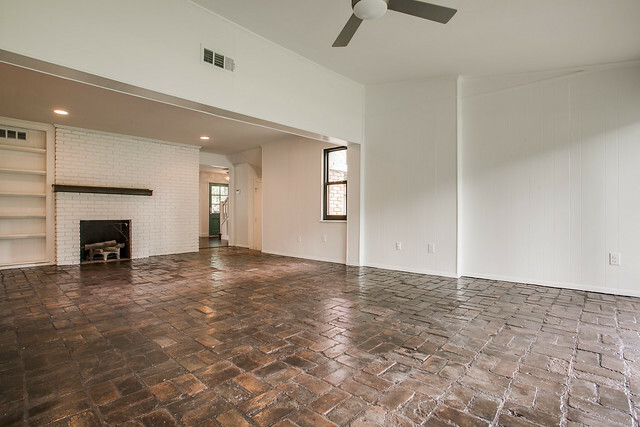 We kept the brown brick floors (after sprucing them up with a serious refinishing) but everything else was painted bright white – so much better! 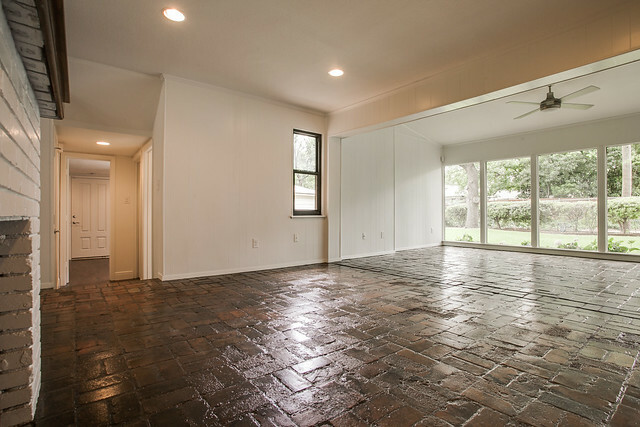 I also like that the brick floors are similar in tone and color to the wood floors, so it all flows together even though the materials aren’t the same. Those windows at the back part of the family room have a great view of the backyard and are definitely the best part of the room – but all those curtains hiding this space’s assets! With the windows opened up, now your eye immediately goes to the backyard. You can see in the photo above that there’s a little hallway leading to another room – just off that hallway, and down two steps, is a powder room. 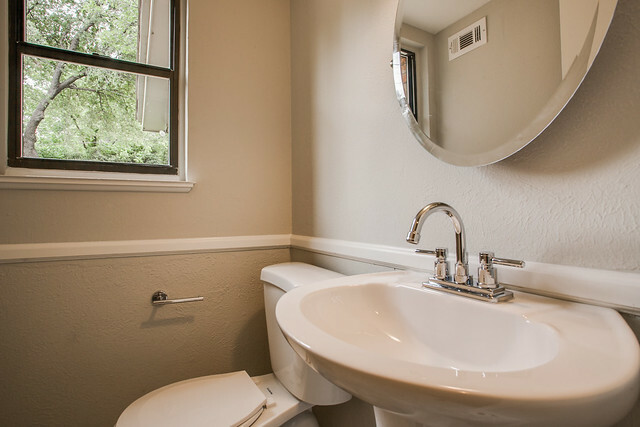 It’s a great location for a bathroom, but it needed a little sprucing. 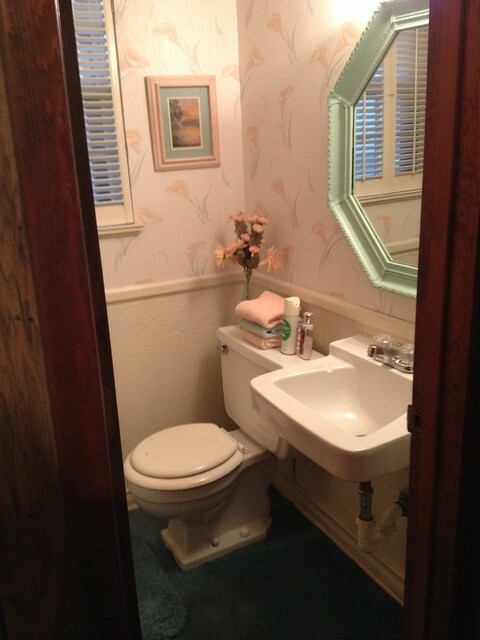 The powder room is tiny, so it’s pretty much impossible to photograph. 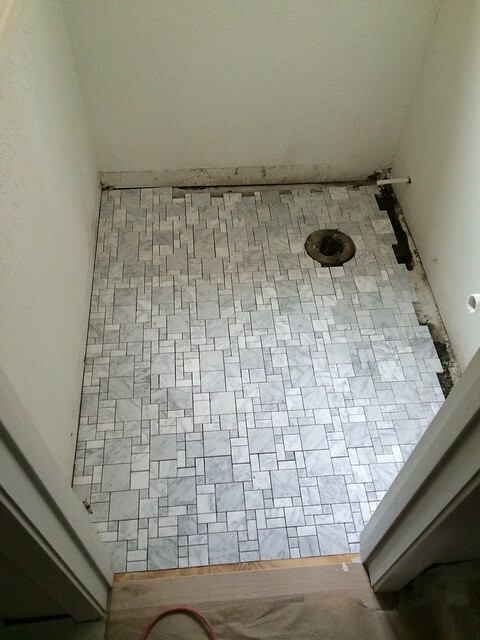 Below is an in-progress shot of the marble mosaic floors – one of my very favorite tiles! 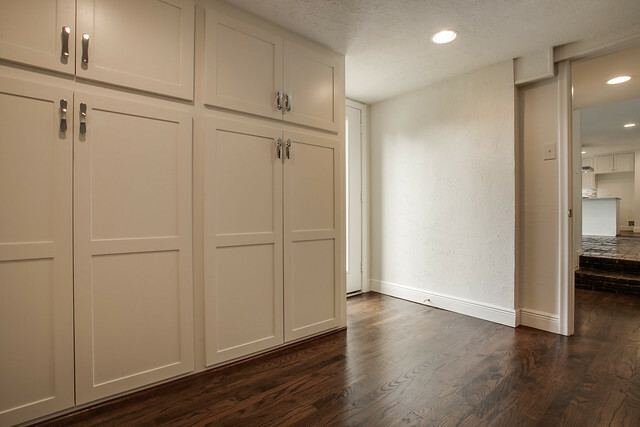 Just past the powder room is the “bonus room.” If we were living there we’d probably use it as an office, but it would also make a great play room, mud room, or even a guest room. However, it’s a garage conversion and in its original state it definitely felt like one. 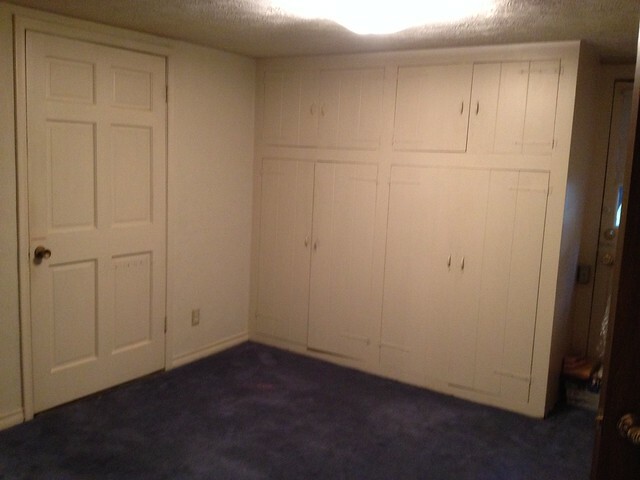 Anyhoo, with the addition of some hardwoods and new doors for the built-in cabinetry, this office/playroom/mudroom/guestroom was looking a jillion times better. But of course, it couldn’t be as simple as that, could it? Nope. You see, since we were keeping the kitchen cabinets we originally planned to buy pre-fab vanities for the two full bathrooms and avoid using a cabinetmaker altogether. 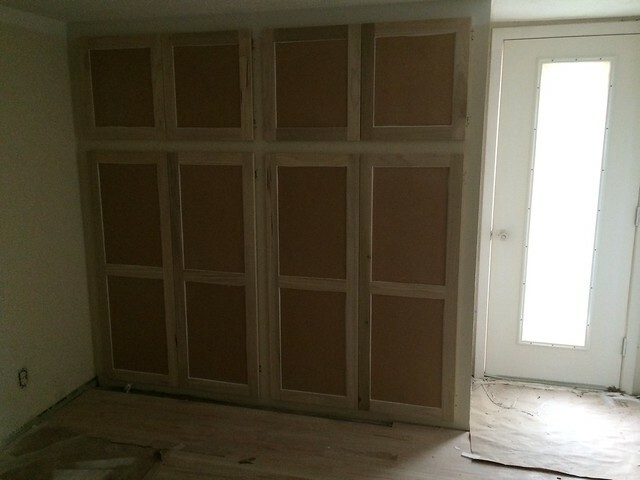 As you know that ultimately changed, but before that happened we decided to take a carpenter up on his offer to make new doors for the built-ins in this room and the formal living room. He was great at trimwork so we figured that skill probably translated into cabinetry . . . but you can see where I’m going here. It would take awhile to enumerate all of the things wrong with the doors he gave us (below), but I’ll try. First, they definitely do not have the Shaker profile I requested. Second, it is not possible to put hidden hinges on them due to the way they were made. Third, they don’t fit properly. Fourth, we paid for them before we realized the second and third mistakes. Lesson learned. At least we finally got the doors we wanted, right? Next up, the second story! Well, I put a window seat into a rehab, and because one side of it was going to box in a duct, I specifically asked them not to make a lift-up lid, but instead to make two beadboard cabinet doors to access the inside space. Again, you can tell where this is going, because I ended up with a seat 3 inches deeper than requested (despite my having drawn lines on the walls!) and with a lift lid, so we gave up and put trim around the “door holes” to treat them as mouldings instead (with new boards behind). And the duct didn’t get enclosed until a couple of days before listing (there were gaps in the floor boards down there that would have let marbles bounce down into the nowhere of the walls). I didn’t have time or will to get anything changed, and luckily the windowseat effect overall was great (see before and after here), but eesh! The kitchen looks amazing! 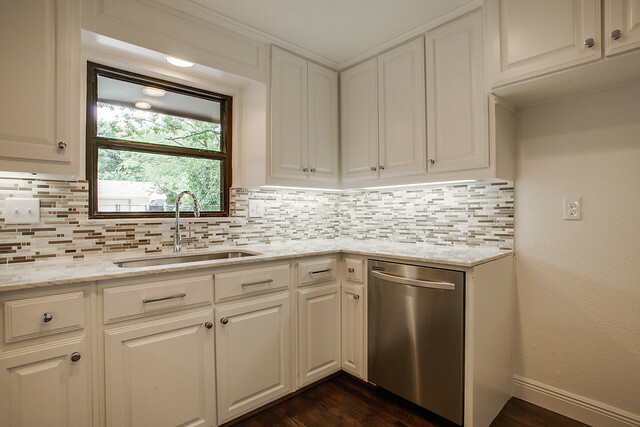 I was wondering if you had a source for the backsplash tile. I’m in the process of trying to marry brown and gray with little success. 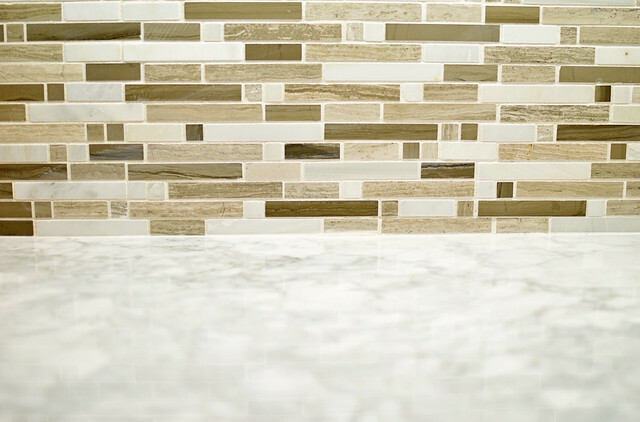 This tile looks like it could be the ticket! Thanks! For some reason I really like the brick floor but I think it would be uneven when placing furniture on it. 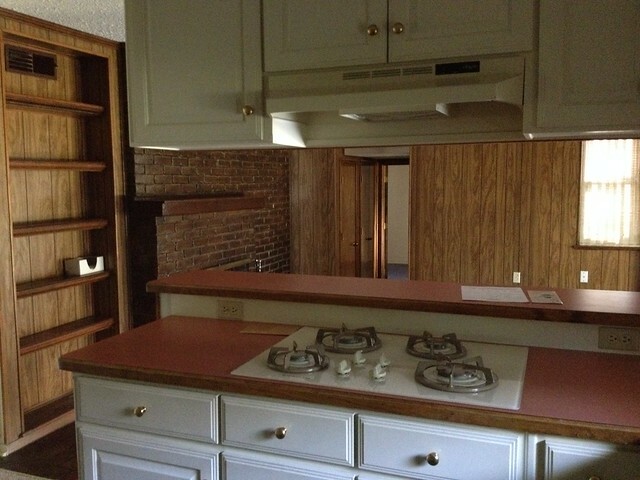 The hood above the stove is also a nice touch. Hi Liz. You’ve done an amazing job transforming this house, just like all of the others that you’ve completed. 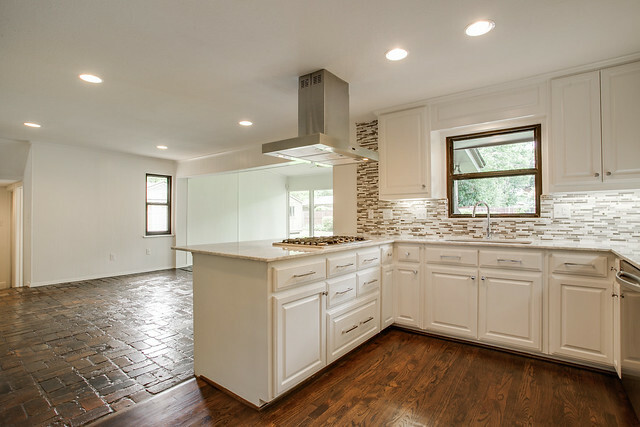 I’m right in the middle of a remodel myself and am curious about the gorgeous hardwood floors you used. 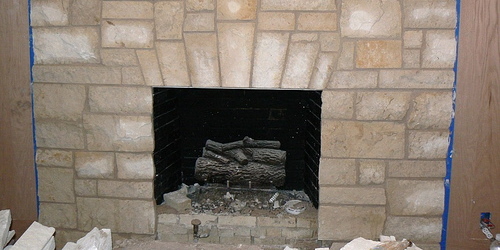 Are they prefinished? If not, would you mind telling me what type of wood and what brand and color of stain you used? Thank you! Hi Suzy! I’m so glad you like the floors! They are 2-1/4″ unfinished red oak hardwoods – we usually use Minwax DuraSeal in Antique Brown, and I’m pretty sure that’s what we used this time but I’m not totally certain (I somehow did a terrible job of taking notes this time – grrr). The kitchen looks great! We are getting ready to redo the kitchen at our house and are having the same dilemma with our cook-top and vent hood. I don’t want to obstruct the view, but for function we need a vent hood. Do you have a source for the cook-top and hood y’all used? Thank you! First floor looks great. Looking to buy a two story (past home was a one story with high ceiling) this month and first floor ceiling look to be standard height. Any suggestions on how to make room feeling larger? 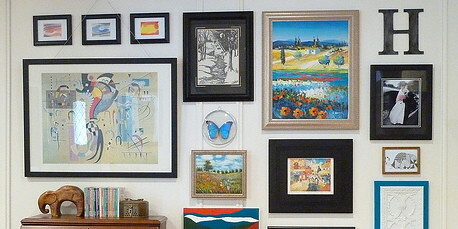 Should I avoid ceiling fan or large light fixtures? Angela, I love this question! I’m going to write a post about it, thanks for the idea! I want to save our cabients and replace the pulls to a wide handle just like you did. BUT, I would love to get some peace of mind on how it goes moving the pull locations and filling the holes, then drilling new holes. Did you guys DIY that step? 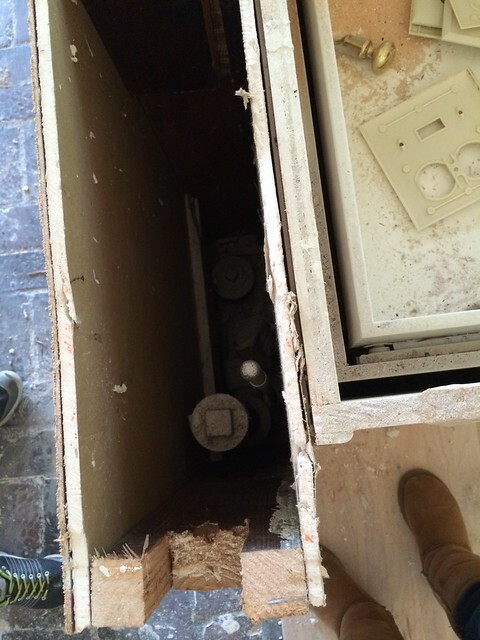 Were the cabinets solid wood? I’m probably looking at painting laminate, which I’ve read can be done. Hi Rebecca! We haven’t done that to laminate cabinets before so I can’t say yay or nay for sure, but with solid wood cabinets our painters use Bondo on the holes and it turns out great. Hope that helps! 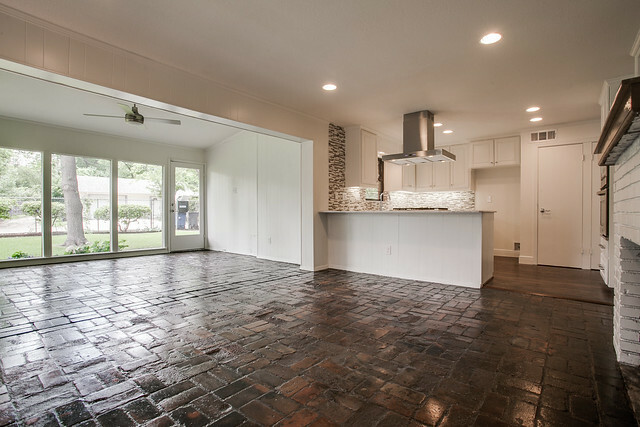 Crazy how ugly that brick floor was before, but now it fits right in (almost like you chose it). 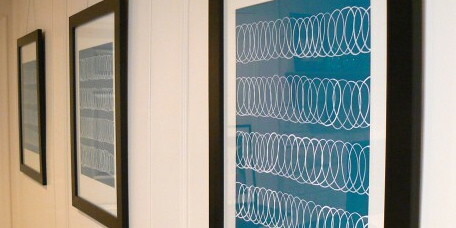 Not that you would have picked that if you laid new floor, but it looks great refinished against the white room. Oh so in love with the dark floors contrasting the white everything! Very happy and elegant! Great job! I hear you on those hinges!! 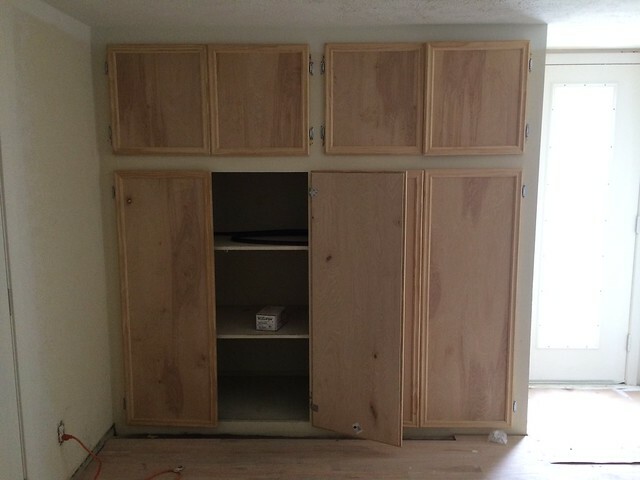 I painted kitchen cabinets for a client and thought it would be great to add hidden hinges to update the look even more. Got a woodworker to do the work, ended up being a fiasco. Long story short, the client wanted to go BACK to the exposed hinges, when meant me refilling the holes that had been drilled for the hidden hinges, and fixing the paint job. I hate hinges!! Hey Liz! 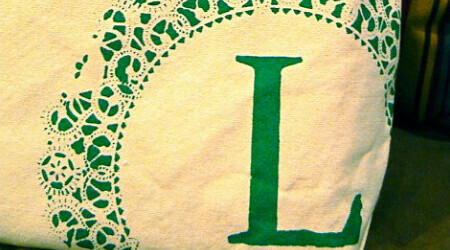 I just can’t tell you how much I LOVE your blog. 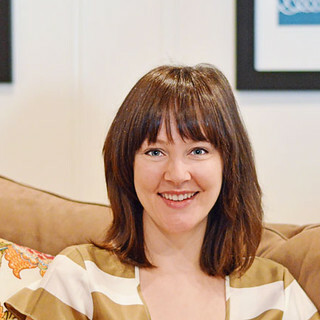 My husband and I totally used your blog as inspiration for our new home! Can’t wait to see your upstairs! 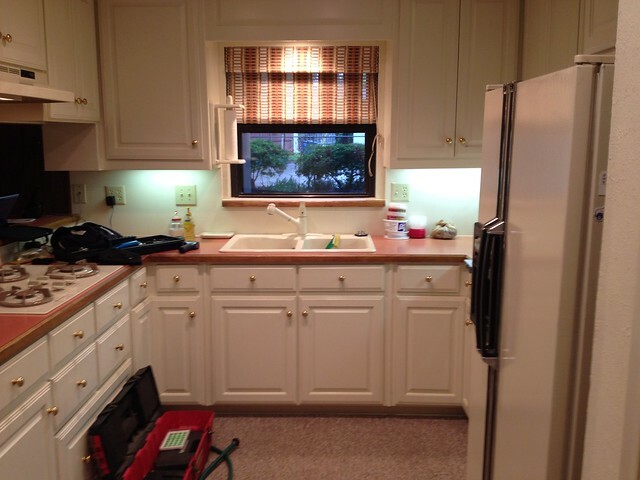 One of our blunders during the home renovation was we had picked out our cabinet color and granite separately. 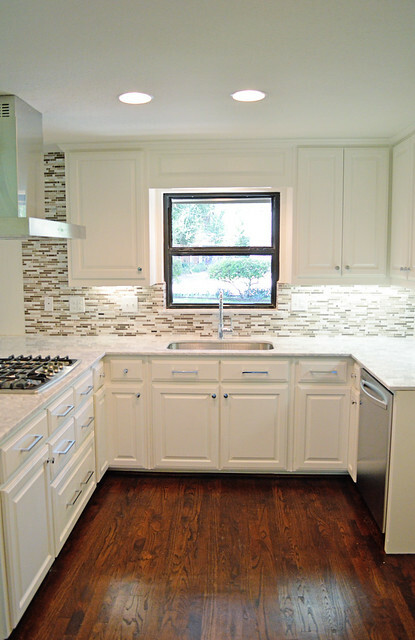 When the granite got installed against the kitchen cabinets, it just looked off. We had to repaint all the cabinets over again in white, which pushed our project back with added cost :( oh well, I think our kitchen turned out just perfectly! 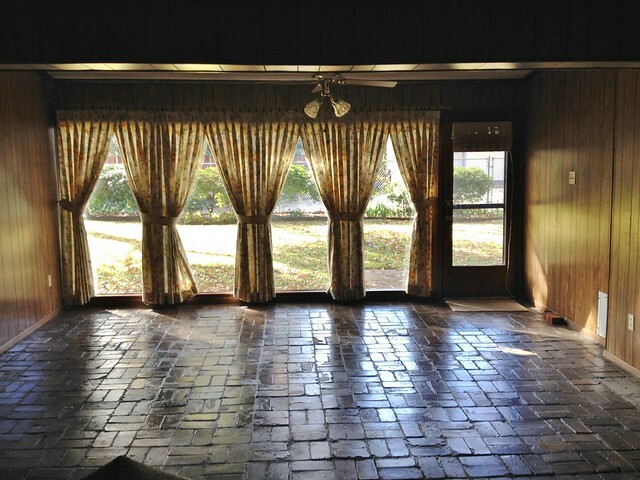 I know I had sent you pictures of our ranch home we bought a while back, so here are the final before and after photos on our blog! Enjoy! Mimi, that TOTALLY STINKS!! Ugh! Good for you guys for going ahead and fixing it instead of just living with it “off” forever! 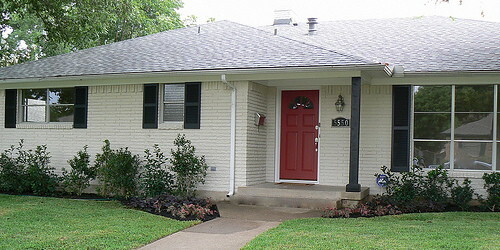 By the way, your renovation looks SO GREAT! 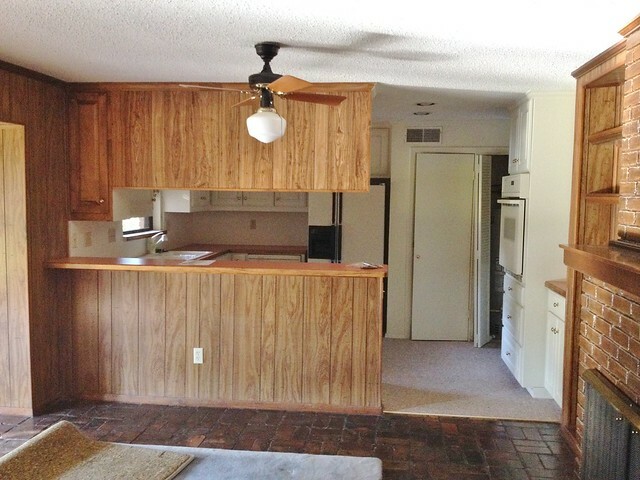 The before and after of the kitchen is really what gets me! It’s amazing the difference that was made by taking out those upper cabinets. It really does help connect those two rooms. 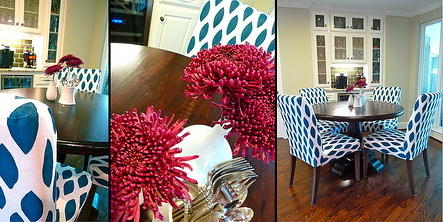 In fact, all of the changes you made have helped to make the space more inviting with a sleek modern feel.